If you are looking for something creative and unusual, one of the best ideas for you would be to make use of the most ordinary objects at your disposal. Darts, ninjas stars, and even old knives — all of those can be used as hooks. This amazing solution will give your hallway area a truly modern and artsy look. If you think that ninja stars are a bit too much for you, why not go with the simplest, most basic coat stand? They are designed to store hats, too — and some models may also feature less usual designs. Next, there is a certain in between option. As of today, furniture stores feature a lot of creative wall hook designs — rain drops, birds, butterflies, office clips — even huge paint brushes and tea kettles. Another more or less classic approach would be to go with several vertical wooden panels with hooks. The solution is perfect for modern and traditional interiors. Horizontal panels are another solution, visually increasing your hallway space. 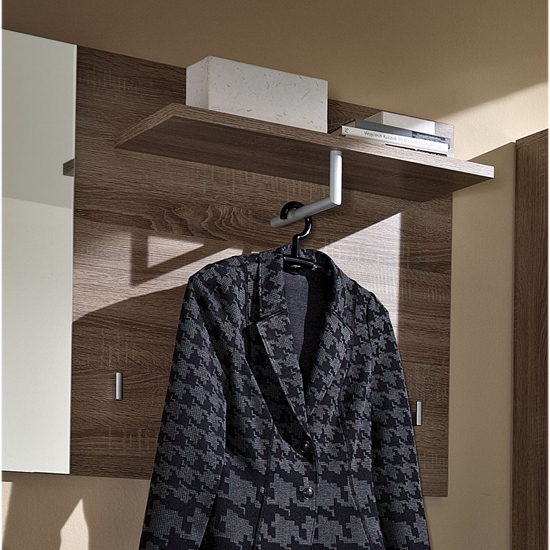 Speaking of horizontal panels with hooks — they are just another name for a coat rack. Compact and efficient, these models often feature a top shelf, which can be used for keeping a number of different things. One more modern and smart hack racks idea for your home would be a metallic (chrome, usually) racks with grill-like shelves. The major benefit is that these shelves can easily adjust their height and customise the storage to your needs. While working with hooks or shelves in a relatively spacious hallway, you might want to try scattered designs. 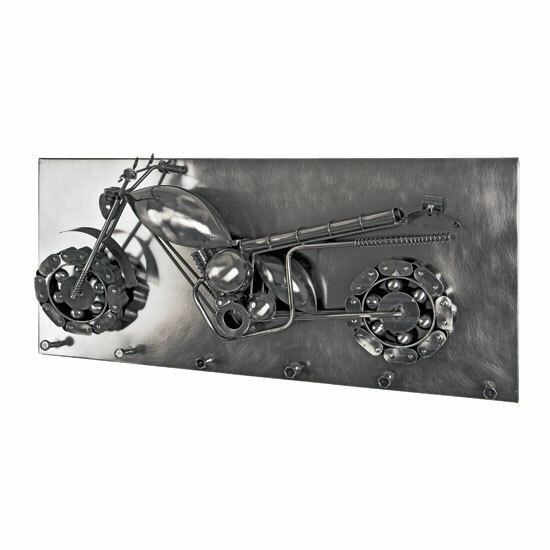 This will give your home a designer, unusual look and feel. Yet another smart and modern idea both for hooks and shelves is to make use of clear, transparent acryl. These invisible pegs will look astonishing in any modern setting — and the best thing is, they do not require a lot of space. A very important tip to remember while furnishing your hallway with pegs and shelves is to make use of the gaps between furniture pieces, if any. This is one of the most reasonable ideas for any hallway. Plus, there are plenty of other artsy looking stands — for example, bright models designed like mountains, or dripping water, or even some abstract shapes. Finally, do not forget that even while looking for such seemingly compact units as modern and smart hat racks for your home, hallway size and shape play a decisive part. This article will give you quick insight into possible hallway furniture plans for different interior layouts.